Programs! Get your programs! Can't tell a Knight from a Day without your Program! Or in this case, I guess you wouldn't be able to tell a Knight from a Knave without your program. 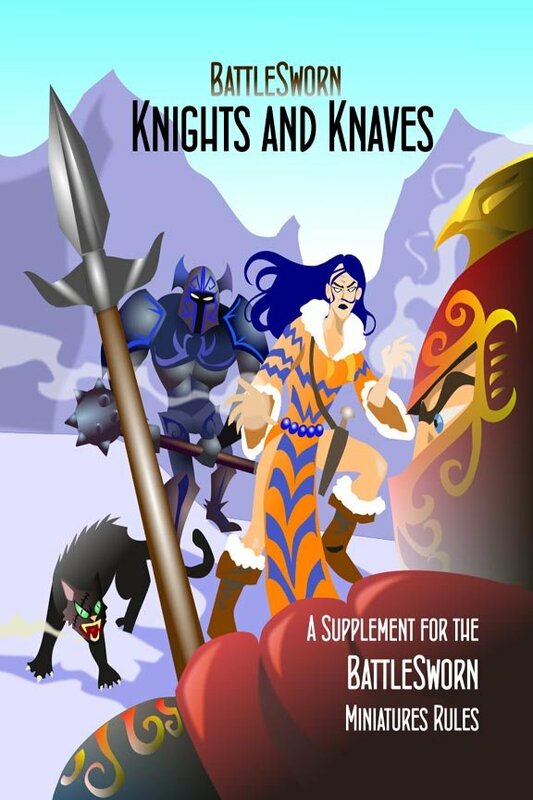 This case, the program would be (appropriately enough) called Knights and Knaves and it is the new supplement for Battlesworn: Bid for Victory and it's available now from Ganesha Games. This new book brings in a bunch of new options for your skirmish games. There's 18 new classes (including Acrobats, Alchemists, Druids, Giants, Rangers, Witches, and Witch Hunters, plus more), along with lots of new magic gear (such as Talismans, Amulets, Potions, and a dozen new spells). Can't find an opponent? The book gives you rules for solo play as well. For a short time (I.E. - until tomorrow), you can get the new supplement as well as the original Battlesworn rulebook for a slightly reduced price.